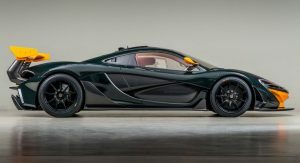 The first McLaren P1 GTR delivered to the United States has hit the used car market. 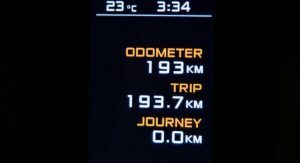 With just 120 miles (193 km) under its belt, it’s bound to fetch a pretty penny, too. 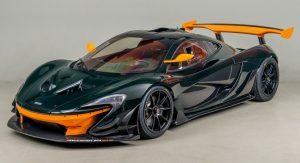 This particular P1 GTR is made especially desirable thanks to the fact is that it was specced by none other than Bruce Canepa. 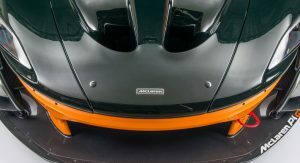 Appropriately, Canepa is now the one selling the track-only hybrid hypercar. 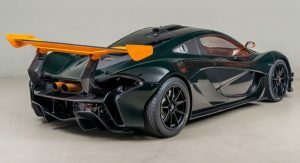 Among all the eye-catching elements of the P1 GTR, it is the paint scheme of this car that stands out. 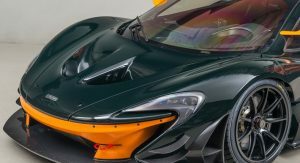 Most of the car is finished in Canepa Green, a color formulated by Canepa himself and sent to McLaren. 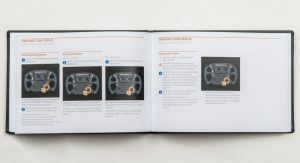 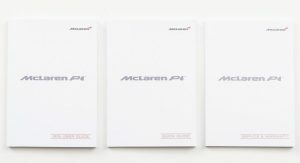 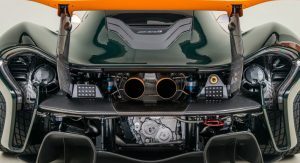 A number of parts then sport McLaren Heritage Orange, including the wing mirrors, part of the front bumper, and the towering rear wing. 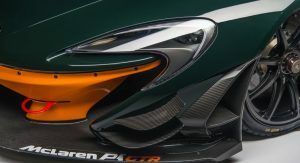 The mixture of dark green and bright orange looks exceptional. 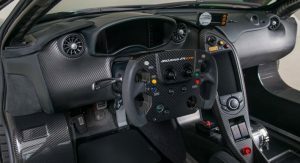 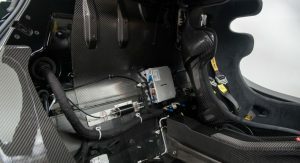 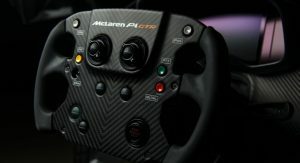 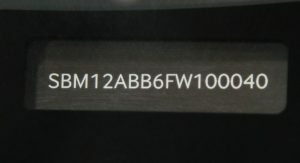 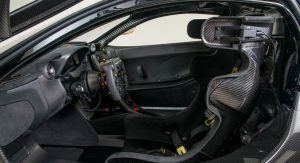 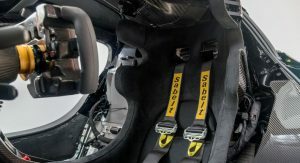 Like all other McLaren P1 GTRs, the car’s interior is fairly sparse and is dominated by exposed carbon fiber parts and a number of Alcantara elements. 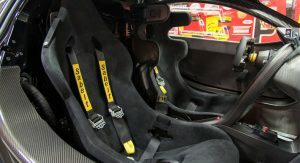 Also being included in the sale is a passenger seat with a full harness. 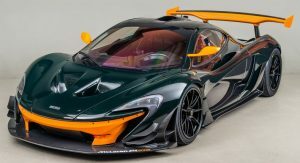 A handful of P1 GTR owners had their vehicles modified by Lanzante so they could be legally driven on the street. 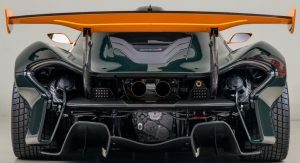 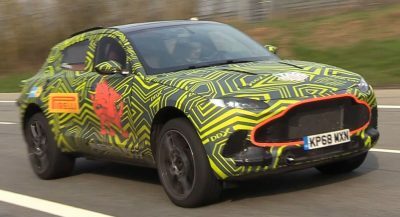 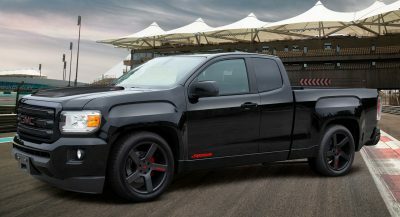 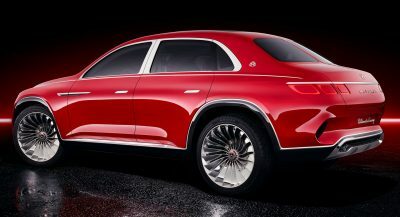 While this example hasn’t undergone those modifications, any prospective customers could turn this track-only monster into a road car if they so desire. 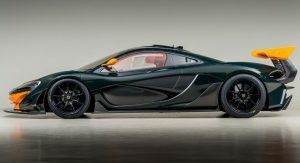 Power comes from a tweaked version of the 3.8-liter twin-turbo V8 hybrid system of the street-legal P1. 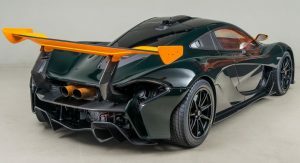 Peak power sits at 986 horses, allowing the P1 GTR to hit 60 mph (96 km/h) in 2.4 seconds and a top speed easily exceeding 200 mph (320 km/h). 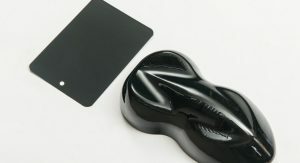 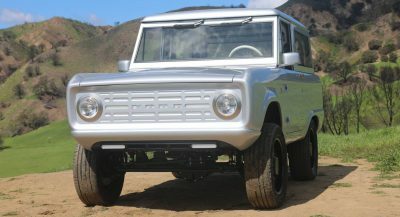 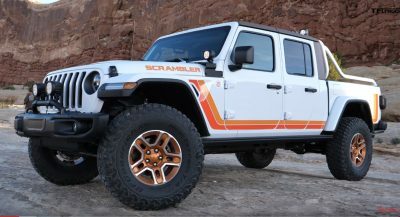 What would be a great weekend toy. 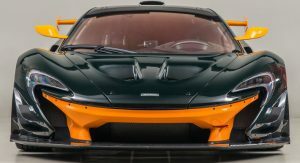 If I had the means, this would be parked next to a Ferrari F40 LM.